A day after his challenger, Cynthia Nixon, visited a mosque, Gov. Andrew Cuomo refused to answer a question from News 4's Melissa Russo about whether he'd ever visted a mosque. Gov. Andrew Cuomo Wednesday refused to say whether he has visited a mosque during his seven years in office. News 4 New York asked the question during a visit to a yeshiva in Sheepshead Bay, after the Cynthia Nixon campaign flagged complaints by Muslim New Yorkers that Cuomo has not visited a mosque. When asked if that was true, Cuomo replied that he was not going to respond -- a departure from his ordinarily detailed rebuttals when criticized. Cuomo’s team of spokespeople also declined to give a direct answer to the question, eventually issuing a statement touting his support for Muslims. "Governor Cuomo has proudly stood with the Muslim community in New York with actions -- not just words," spokeswoman Abb Fashouer said in a statement. "As governor, he has aggressively fought Trump's Muslim ban, took landmark action to combat hate crimes, and in 2010 was a forceful advocate for the mosque at ground zero -- a position for which he faced vicious political attack ads. He's always stood with the Muslim-American community, and always will." 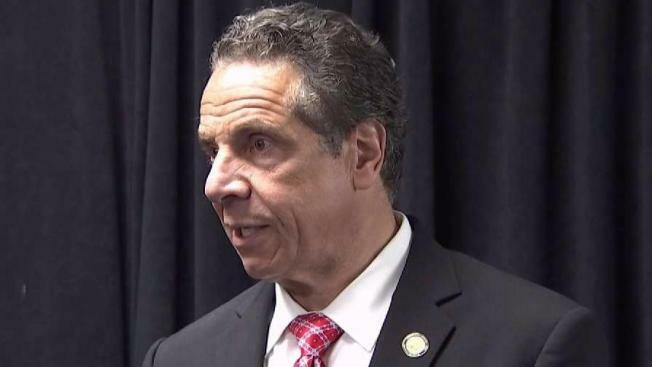 But this is not the first time Muslim New Yorkers have voiced frustration that Cuomo had not visited their places of worship, according to sources who attended a roundtable meeting of Muslim leaders convened at the governor's office in December 2015. One source, who requested anonymity for fear of angering the governor, tells News 4 that members of Cuomo’s senior staff were told by Muslims during that meeting that the governor appeared to be avoiding visiting a mosque. Senior Cuomo aides assured the group that it would happen, but it never did, the source said. On Wednesday afternoon, Cuomo’s spokeswoman said they were looking through governor’s schedules.